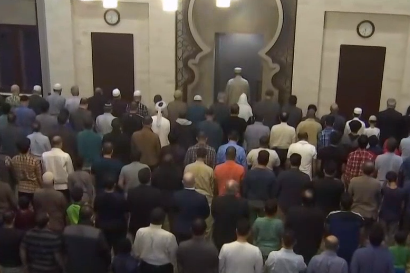 Worshipers of all religions gathered at the ADAMS Center Mosque in Sterling, Virginia, Friday to pay tribute to the 50 people killed in an attack on two mosques in Christchurch, New Zealand. Among the attendees were Sadaf Iqbal and her daughter, who told NBC Washington they were thankful for the showing of unity and solidarity with the Muslim community. “There are people from all over behind us, from different places of worship to support us, so we’re feeling very supported,” she said. The worshipers in Christchurch, New Zealand, were attending prayer services when a white nationalist opened fire at two mosques. While security at the vigil in Sterling remained a top concern, others in attendance expressed alarm over the possibility of additional incidents. Loudoun County Chair at Large Phyllis Randall told NBC Washington that the senseless act left her concerned and angry. “When you think about what happened in Charlottesville, think about Mother Emanuel Church in South Carolina and now this, it just keeps happening, over and over,” Randall said. Now, the focus for many is to show their support and creating a sense of unity, by standing with the families of the victims.